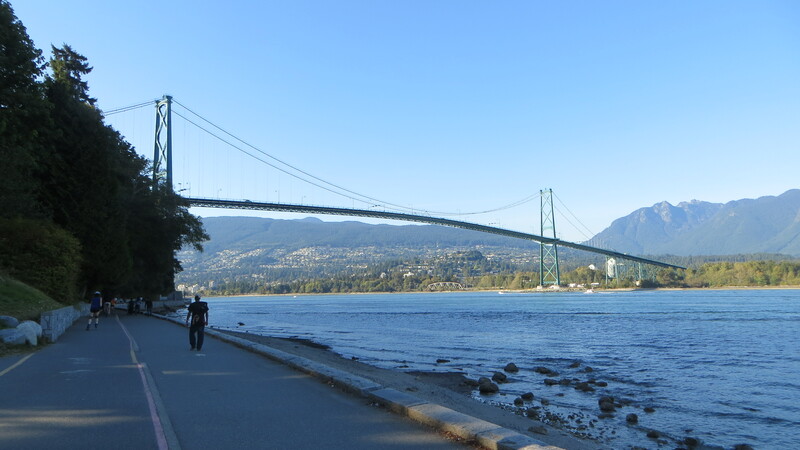 This is an obvious one, but walking or cycling the seawall is lovely when the weather’s nice with views over the ocean and mountains. The park also contains aquarium, which is good value, and trails through the forests and beaches. At Christmas they also put on ‘Bright Nights’, which is just loads of Christmas lights and displays – it’s cheesy but amazing. 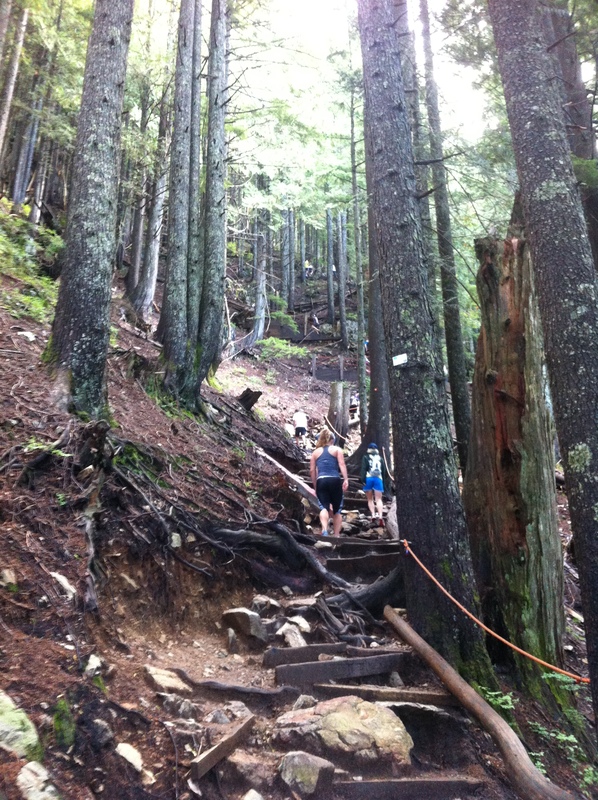 Grouse Grind is a very steep 2.9km trial up Grouse Mountain with over 2000 steps and takes about an hour and a half. Although it is very tough, it is worth it – at the top there are amazing views, a bear enclosure, a free lumberjack show and a BeaverTails pastry shop. 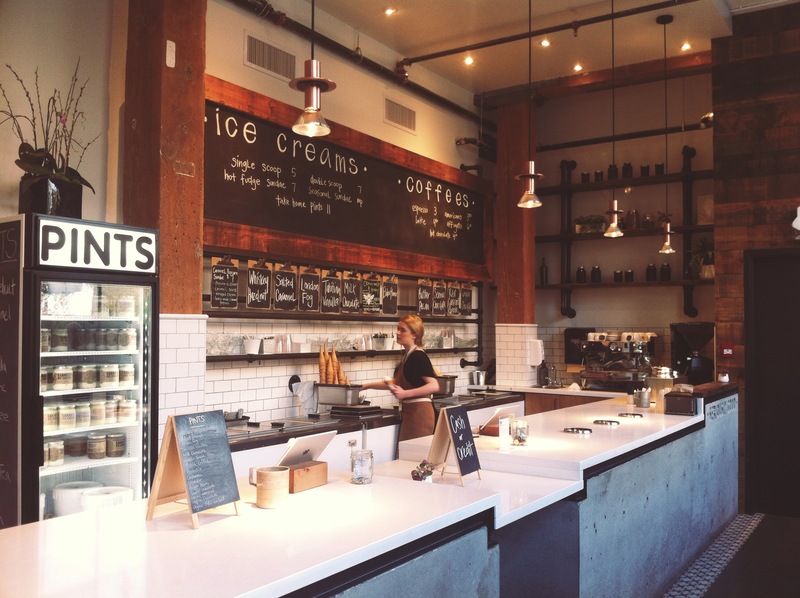 This ice cream shop is really nice and the ice cream is so good. They do interesting flavours and it is perfect for a sunny day. This street has a lot of character and contains a nice mix and range of independent shops and restaurants. Cannibal Café is really good value and has great burgers. On the surrounding streets are lots of heritage houses which are nice to walk down as most of Vancouver is quite modern. 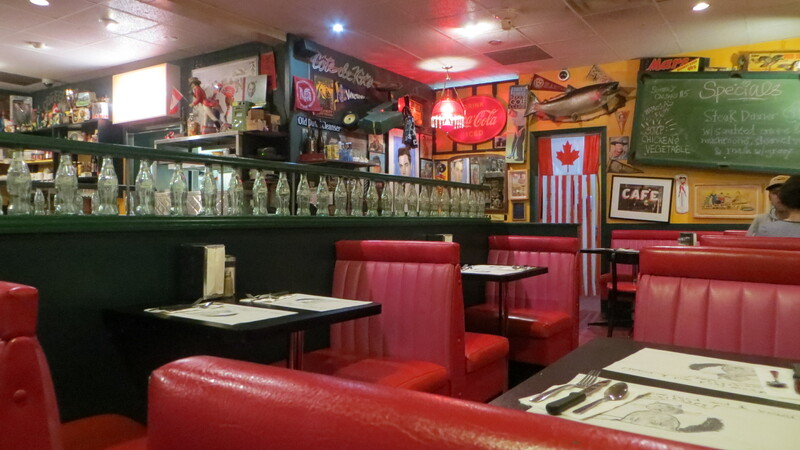 This is a retro and eccentric style diner, full of random and fun decorations. I’ve heard the breakfast is great, but I went for burgers which were really yummy and a good price too. It’s in Kitsilano, which is a nice neighbourhood to visit too, sunset at Kitsilano beach is so beautiful! This is the old neighbourhood in Vancouver. Although it’s very small, it’s good to visit as it has a lot of character and charm and shows Vancouver’s history. It has tourist shops but also has become a bit hipster with its restaurants and bars. It’s nice to visit at night when the fairy lights and street lamps are lit up and the Steam Clock is on. 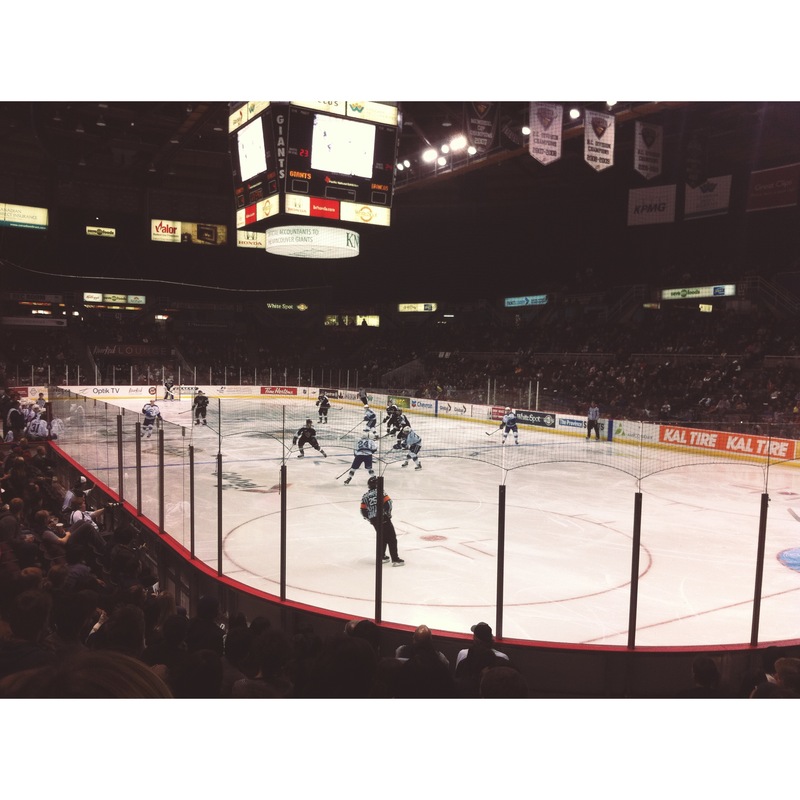 Ice hockey is a big thing in Canada, so you have to go to one while you’re here. Canucks are the big team, however the tickets are expensive. Instead, I’d recommend going to a Giants game, they’re cheaper and there’s a lot more atmosphere than at a Canucks game. The fans really support the team so you really get into it, whereas the Canucks game was a lot quieter and therefore not as exciting. 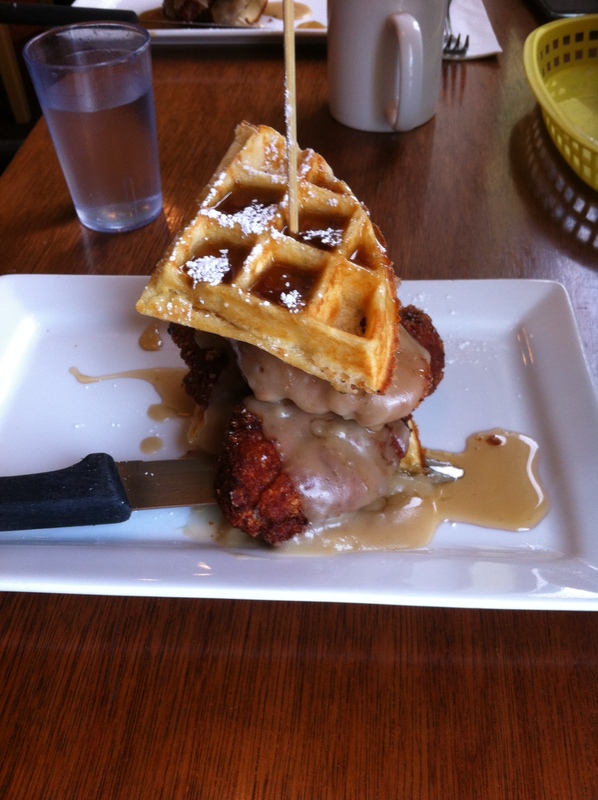 Perfect place for brunch, the chicken and waffles are amazing! Granville Island used to be an industrial area but now is a big public market and marina. There’s lots of nice food and shops. I’d recommend Lee’s Donuts! I also visited a Comedy Club improv night which was different and a fun experience. Taking the aquabus there is fun too. This is a nice café near the Downtown Eastside. They do lots of cakes and baked goods. There’s so much choice and everything is really good.